What Makes Us Different From Any Other Photo Booth? You choose the booth size – 2 to 12 people! You choose the booth style – sitting, standing or both! You choose the booth backdrop color – match your wedding! You choose the booth privacy –closed booth or open air! You choose the booth look to match your wedding! Our Booth Will Look Great At Your Wedding! Our Booths are the Most Elegant Available, Draped in Plush Velour – It looks like it belongs at your wedding! Customizable designs for your pictures, photo strips, and unique pattern backdrops. Instantly Upload to Social Media or Email! Your Names and Wedding Date on Each Photo Strip! Everyone will remember your day and the fun they had. You Own Private Password Protected On-line Gallery of All Your Photos! 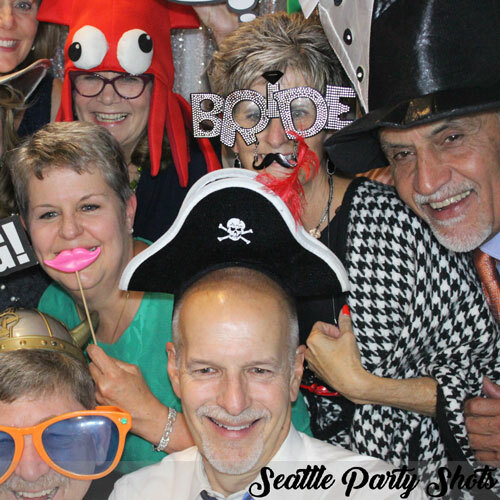 After the wedding you will be able to see the fun your guests were having in the booth. Your Choice of Fun Photo Props! We have the most extensive and fun collection of props anywhere – no one else even comes close! Less Wait and More Fun for All Your Guests Because We Have the Fastest Photo Printer on the Market! 8 seconds – You get more pictures in less time which means your guests have more fun! Fewer Bad Pictures With Our Instant Image Check! Your guests can see how they look before they take the picture! Keep All the Digital Images for FREE with Easy to Use Unlimited Download! They’re perfect for providing entertainment and wedding/party favors for your guests, and the scrapbook becomes your picture guestbook! But not all photo booths are the same. While the boxy, chuck-e-cheese style photo booth is nostalgic and cute, it is not practical. Typically only 2 or 3 people can squeeze into them. You want to be able to get a family or your entire bridal party in the booth for some great fun shots! Our elegantly draped versatile booth fits anywhere and holds up to 15 adults! Many companies have their logo all over their photo booth. How tacky is that? Your event should be about the bride & groom not about vendors trying to promote their business to your guests. Our booths are elegantly draped which is perfect for a wedding! 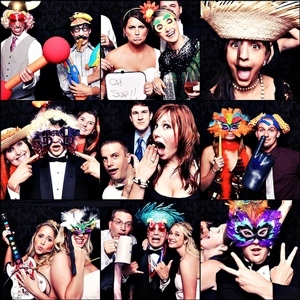 Most photo booth rental companies use slow inkjet printers (45-60 seconds for each print). You’ll end up with a 30 min line at the booth the entire event and end up with far less photo strips. Companies who use high-speed printers will make a point to mention it on their website and price list. We use a dye-sub printer which prints 2 photo strips in about 10 seconds, and we don’t have to replace the paper and ribbon for almost 4 hours! With this kind of efficiency we can take over 600 pictures during a 4 hour event. Ask the other companies if they can match that! Most companies use cheap digital cameras with poor lighting. All you need to do is look at their sample photos. We us high a quality digital camera with a wide angle lens and professional lighting. We offer a choice of backdrop colors that will compliment your wedding colors or style. In addition to our standard 3 solid colors we offer a huge assortment of new designer backdrops that no one else provides! 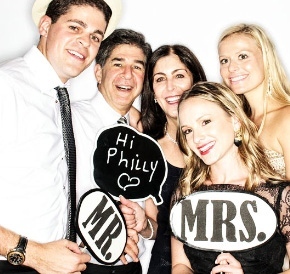 Make sure your photo booth company has a user-friendly service for hosting your photos. Through our website your guests can download their digital images for free, email the pix to others, upload straight to their Facebook and Twitter accounts, order prints (only $1 for a 4×6), and order merchandise with their photos on them! We have found that it’s the props that make the booths the most fun and we offer the best assortment of party props. We offer both open air & elegantly enclosed booth options. While open air is fun, it’s not for everyone and can lack the intimacy and privacy of our enclosed booth. Whether you choose open air or enclosed booth, your guests are in charge of the action! We help you get ‘styled up for your close up,’ in our many choices of props and accessories. That cuts off the heads of children and makes it difficult for large groups to all be seen. A seated booth really limits both the number of guests and the fun! It may be fine for the grandparents, but your friends will want more! Those are limited to only 2-3 people and look like they belong in a bowling alley or video arcade. We’re talking about your wedding here, not a BYOB Bar-B-Q. Professional, Sophisticated and Elegant with lots of FUN are the hallmarks of our booth!